Tiger Towel® paper towel can handle messes in any room of your home, but did you know that it’s just as useful outside? Put it to work in your garden! If you want to see if last year’s seeds are still good, test them using Tiger Towel® paper towel and a plastic freezer bag. Dampen 2 Handy Half Sheets® of Tiger Towel® (do not separate them). Flatten the sheets of Tiger Towel® and arrange 10-20 seeds on one side of the paper towel (the other half should have no seeds on them). Spread the seeds out so that they are not touching. Fold the other half of the paper towel over top to cover the seeds. NOTE: If your seeds are bigger (e.g., peas or beans), you can add 2 more unseparated Handy Half Sheets® on top of the first set to cover them. Roll up the sheets, place the roll in the freezer bag and seal it. Place the bag in a warm spot away from drafts. After 2 days, check daily to see if the seeds have begun sprouting. Moisten the Tiger Towel® again if they begin to dry out. Most seeds will germinate within 5 days. If you want to save the seeds that have already sprouted, you can place them in peat pellets and continue growing them indoors until they are hearty enough to transplant. 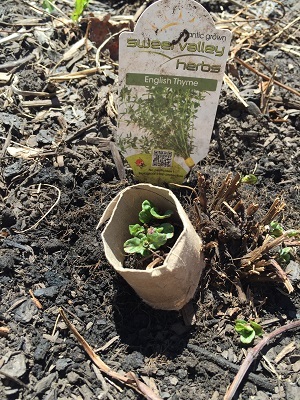 Save your empty ROYALE® Tiger Towel® rolls so you can make pods to start your seedlings in. 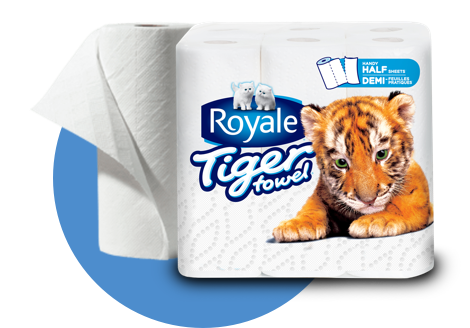 Cut each empty Tiger Towel® rolls into 4 smaller pieces. At one end of each piece, cut ¼″ wide strips all the way around. Fold each strip down, towards the center of the roll. The strips will start to overlap. This will help keep the soil in the roll. Repeat for all pieces. Mix your soil and some water in a bowl, and fill each tube leaving only ½″ of space at the top. Add 1 seed to each pod and cover over with a bit of soil. Place all of your pods in the tinfoil baking pan. This will catch any excess liquids when you water your pods. When it’s time to transplant your seedlings outside, just drop the whole pod into the ground. The cardboard will breakdown overtime. Instead of throwing away the cardboard rolls when the Tiger Towel® is gone, put them to use protecting your plants against pests. Cut the cardboard roll into 3 smaller pieces. Press the pieces into the ground around seedlings. The roll acts as a barrier around your plant to keep slugs and other garden pests at bay. Make planting seeds in a narrow row a bit easier with the help of Tiger Towel® paper towel. Consult your packet of seeds to determine how far apart each seed should be planted from one another. Use the marker to mark a spot where each seed will go. Add a drop of glue to each spot and drop one seed onto the glue. Continue until you’ve prepared all of the seeds you’re going to plant. Let every sheet dry completely. Once your seed tape is dry, roll it around the empty Tiger Towel® roll halves and store it in a cool, dry place until you’re ready to plant them. 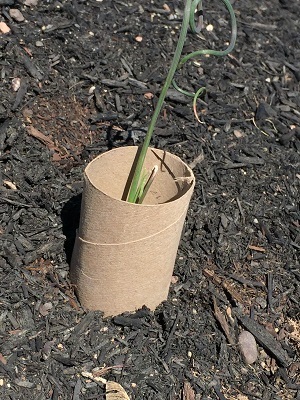 To plant, unroll the seed tape where you’ll be planting. You might need to dig down to reach the appropriate depth noted on your seed’s packaging. You may also want to weigh the seed tape down with a rock to keep the wind from moving it. Once in place, cover the seed tape with soil and pack firmly. Water the area with a light mist so as now to wash the soil away.